It’s been three weeks since running STWM and I am now ready to do a work-out. I’ve been communicating every day w/ Coach Rick as we want to make sure I properly recover from the marathon, both mentally and physically. And most importantly, make sure the hip is ok before increasing the intensity and duration of my runs. When we’re in the thick of our training for Worlds next summer, I do not want to look back and regret pushing it too hard, too soon. This past week, I was able to complete nearly 80 km of steady running with cross training (pool or bike) every day. I didn’t wear my Garmin at all. But today, I did. I pushed the pace a bit to test the legs but didn’t even come close to marathon pace! No worries though. The hip is not quite 100% but it’s getting there so I am pleased. Coach and I are meeting to do some 200 m repeats Tuesday on the track. We have 19 days until racing in Japan; lots of time to get some speed into my legs for my part in the relay. As for my diet (because I know a lot of you ask what the RD eats! ), it’s been fairly balanced. I always stick to what I advise my patients (plate 1/2 plate vegetables, 1/4 protein, 1/4 whole grain with 1 cup milk at lunch and dinner) but have enjoyed a few more sweets (extra syrup on breakfast pancakes/waffles, sweets I hid from the kids while training for STWM, etc.) than normal. I just finished my last bowl of peanut butter & chocolate ice cream with a few small Halloween treats. Like I did before STWM, I’m going to give up the extras until after Japan. No big deal. Getting back to “my normal” (work-outs, increased mileage, earlier to bed, no treats) allows me to better focus on my upcoming race. Even though I am racing 5 1/2 weeks after a marathon, recovering from a hip injury, and not expecting to necessarily PB, I am running for my country and teammates so will certainly give 100%. It’s a great opportunity for me so I will certainly train and run hard, and also enjoy the trip. The time change and lengthy flight will certainly be interesting, to say the least! Last evening was my husband’s annual gala dinner event for his place of employment, Vantage Endoscopy. It was a great one-night get-away with just the two of us (thanks for watching the kids, Britanie and Jenn). The accommodation, food, and people around us made for a great time. And with the time change, it sure was nice to get that extra hour of sleep on our own (sorry, J and B!)! Once again, I was honoured when Jonathan’s co-workers/spouses came up to me, congratulating me and telling me they follow my running and that I inspire them. Two people in particular include: 1) a man, once a smoker and overweight, who wakes up at 3:00 am to get his runs complete before work (wow, he’s certainly got my 5:00 am mornings beat!) and 2) a mom, who works full-time and makes it a priority to work out every day despite how busy life gets. Like I’ve written before, I am inspired by those who I inspire and I am grateful. Thank you. 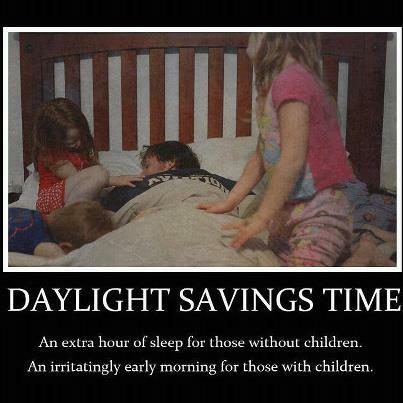 Well, the clocks have changed but not necessarily the kids’ waking time so I’d better be prepared for anything. Besides even though it’s only 9pm, feels like10pm to me!